Make yourself at home in one of the 89 air-conditioned rooms featuring minibars and flat-screen televisions. Complimentary wired and wireless Internet access keeps you connected, and satellite programming provides entertainment. Private bathrooms with bathtubs or showers feature rainfall showerheads and complimentary toiletries. Conveniences include phones, as well as laptop-compatible safes and desks. Be sure to enjoy recreational amenities including an indoor pool and a fitness center. Additional features at this hotel include complimentary wireless Internet access, concierge services, and babysitting/childcare (surcharge). Getting to nearby attractions is a breeze with the area shuttle (surcharge). Make yourself at home in one of the 24 air-conditioned rooms featuring minibars and flat-screen televisions. Complimentary wireless Internet access keeps you connected, and digital programming is available for your entertainment. Bathrooms have bathtubs and complimentary toiletries. Conveniences include safes and desks, and you can also request cribs/infant beds (surcharge). 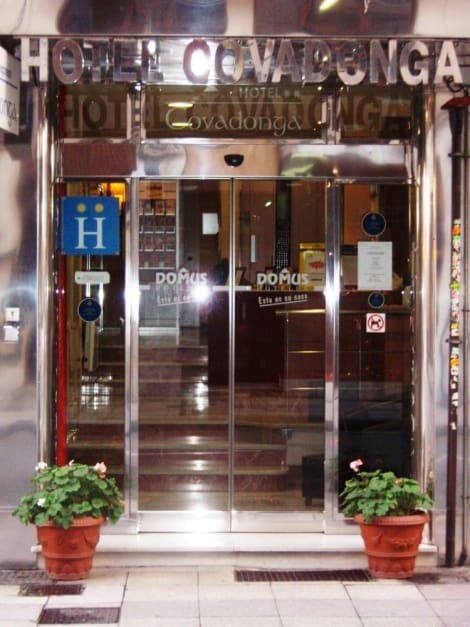 With a stay at Hotel IDH Angel in Oviedo (La Corredoria), you'll be within a 5-minute drive of Hospital Universitario Central de Asturias and San Julian de los Prados. This hotel is 1.7 mi (2.8 km) from Fuente De Foncalada and 2.8 mi (4.5 km) from Campoamor Theater. 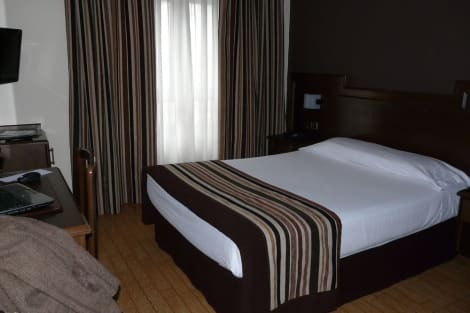 Hotel in Oviedo, just 400m (5 minutes walk) from the Hospital Universitario Central “HUCA” offering a modern accommodation with free WIFI connection. There is a delicious Buffet Breakfast and 24 hour room service. The Hotel Castral Real has items for ironing, laundry service and dry cleaning service. .A private car park is also available with a supplement. This hotel is located in the tourist centre of Oviedo just a few minutes walk from the city centre where guests will discover countless shops, cafés, bars, restaurants and lively nightlife venues. Links to the public transport network may easily be reached on foot and it is 25 km to the nearest beach. Offering 5 floors with a total of 27 rooms, this hotel features a 24-hour reception desk, a bar and a public Internet terminal. Those arriving by car may make use of the hotel car park and garage facilities and a laundry service rounds off the offerings. The functional rooms each come with an en suite bathroom, a direct dial telephone, Internet access, central heating and a hire safe as standard. It is 5 km to the nearest golf course. 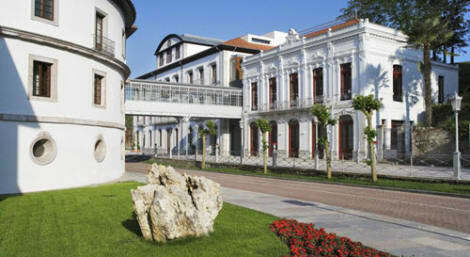 Recently refurbished, charming hotel placed at the downtown, where you can find the Asturias warm hospitality. Free Wi-Fi everywhere in hotel. Notice: You can serve the breakfasts at any time of the day, including having it served in the room without no extra charge. At Hotel Fenix, guests feel like being at home. The hotel is a comfortable and familiar building, in which customers receive a very personal care. It is located 5 minutes away from the historical centre of Oviedo, and it is the ideal election for leisure tourists as well as for professional travelers, given its closeness to the main transport stations and the commercial core of the city. The modern hotel can accommodate up to 34 persons, distributed in 2 single rooms with a fully equipped restroom, 4 full bed rooms and 12 double rooms. Besides, the hotel provides 4 extra beds for your housing needs. Each one of the rooms has piped music, safe, heating, free Wi-Fi access telephone and satellite television. The hotel facilities provide also a covered parking area, 24 hours reception, luggage service, fax, daily press, gift articles and tourist information. Make yourself at home in one of the 43 guestrooms featuring minibars. Complimentary wireless Internet access is available to keep you connected. Bathrooms have complimentary toiletries and bidets. Conveniences include phones and desks, and you can also request irons/ironing boards. lastminute.com has a fantastic range of hotels in Oviedo, with everything from cheap hotels to luxurious five star accommodation available. We like to live up to our last minute name so remember you can book any one of our excellent Oviedo hotels up until midnight and stay the same night.